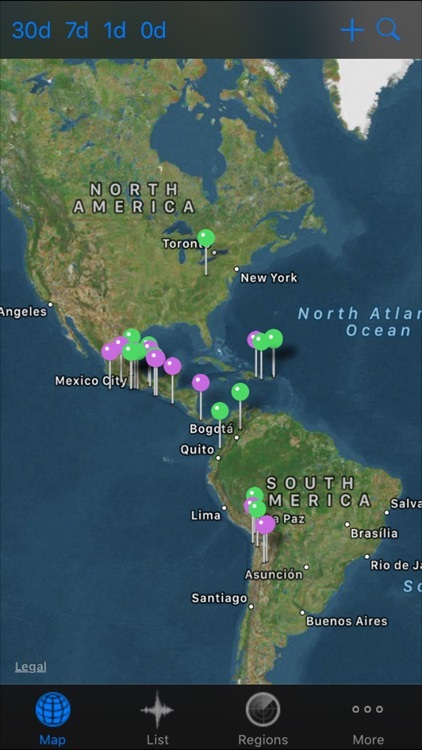 QuakeZones Shows Current AND Historical Earthquake Events Worldwide. 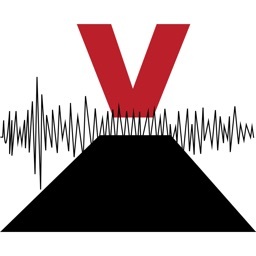 We set out to develop the absolute best historical earthquake app available for the iPhone. We looked at all of the available earthquake apps and quickly discovered that none of them presented historical earthquake information. Most showed only a few days of data with limited mapping or filtering options. 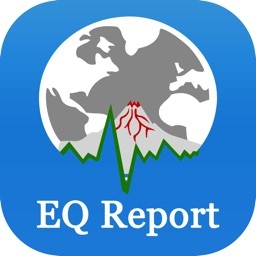 If you want to look at historical earthquake events and subsequent aftershocks on an iPhone, QuakeZones is absolutely your best answer. QuakeZones uses Maps to pinpoint over a million earthquakes worldwide. More than 33 years of historical earthquake information is now available in the palm of your hand. Other earthquake apps show only 7 days of data. Why not see the whole picture? See results in Map or List views. Filter results alphabetically, or by magnitude, proximity, or date and time. Save areas of interest for future reference. Search broadly by Region or specifically by City with more than 300,000 cities available. * Historical worldwide earthquake data from multiple sources dating back to 1973. 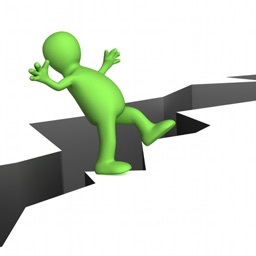 * Earthquake updates are provided automatically as new events occur. 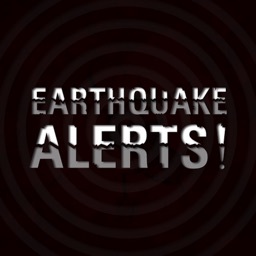 * Tap a pushpin to see earthquake details including location, date and time. * Also see magnitude, depth, distance from your location, and more. * Manual Refresh enables you to pan, zoom, and refresh the map on demand. * Search for other locations by Region or City name with automatic lookups. * Add and Save any map location to your personal list of MyZones. * Instantly retrieve a saved location from MyZones. 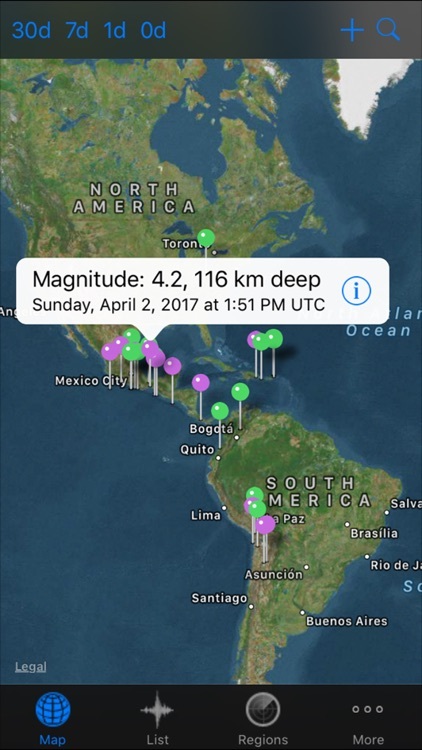 * Display earthquake information for a city, state, country, or worldwide. 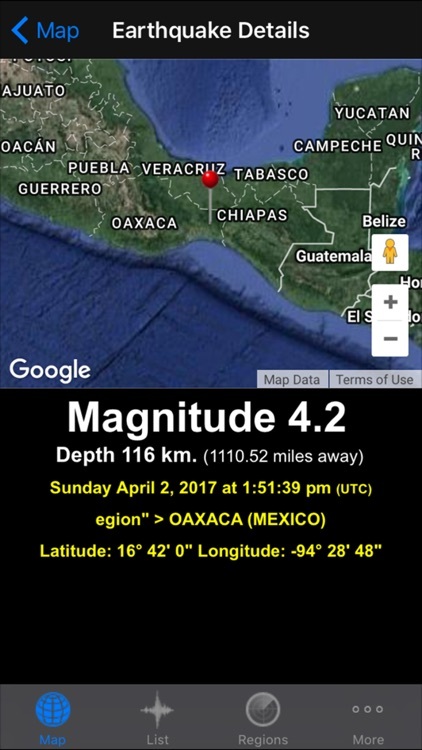 * Use Settings to create defaults for data presentation by year, magnitude, and number of earthquakes displayed. * See more than 33 years of earthquake data.